↓ , lower; ↑, higher; NA, not available. LV, left ventricular; 95% CI, 95% confidence interval. ↵a BpTRU records BP automatically without an observer. UF, ultrafiltration; APD, automated peritoneal dialysis; ↓ , significant reduction in icodextrin groups relative to control group; CAPD, continuous ambulatory peritoneal dialysis. 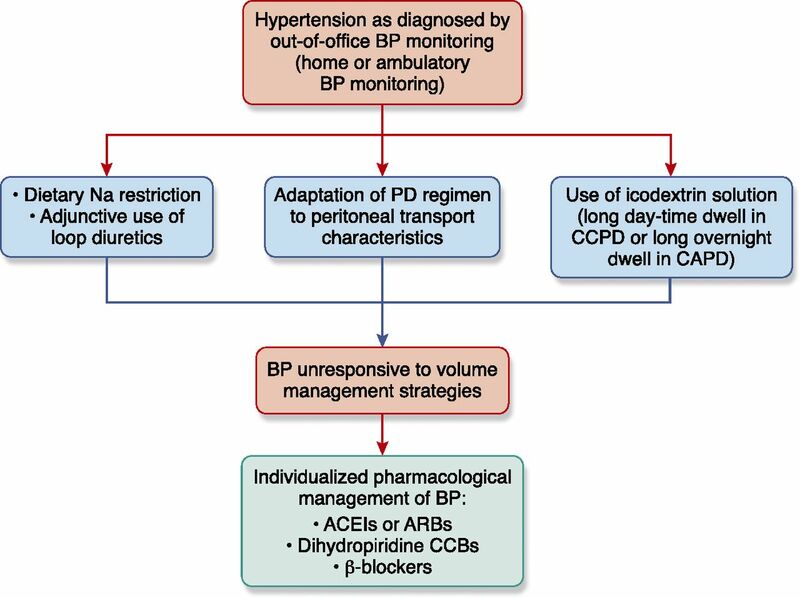 PD, peritoneal dialysis; HR, hazard ratio; 95% CI, 95% confidence interval; LV, left ventricular; ACEIs, angiotensin-converting enzyme inhibitors; ARBs, angiotensin receptor blockers; baPWV, brachial-ankle pulse wave velocity. PD, peritoneal dialysis; LV, left ventricular; LVEF, left ventricular ejection fraction; ACEIs, angiotensin-converting enzyme inhibitors; ARBs, angiotensin receptor blockers; HD, hemodialysis; HR, hazard ratio; 95% CI, 95% confidence interval.